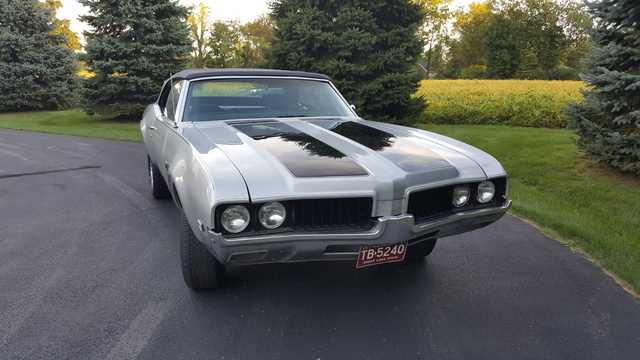 Have you driven a 1969 Oldsmobile 442? 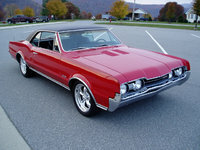 Displaying all 6 1969 Oldsmobile 442 reviews. Fun Fast — This car was fast. Should have never gotten ride of it. At 95.000 miles never burned or used oil. Was kind of different having this car with a factory 3 speed on the floor instead of the advertised 4 speed. I think this may have help make this car fast off the line. Cons: Not having it now. Fun Car — Performance- acceleration, handaling Build Quality- no repairs needed, built tough Appearance- exterior is smoking hot Cost of ownership- gas mileage, paint and maintenance Fun factor- Just ask the police that were eating my dust yesterday afternoon, and it jumps nicely. 442 Like No Other! — 1970 rebuilt 455 cu big block under the hood, 408 hp on the dyno. Will quarter mile it this summer, shoulf be a 12 sec run. This car is so badass...it was stolen the first year i owned it, they took it on a flat bed trailer,yet they were dumb enough to drive it through my neighborhood. Father Looked For For 25 Years, For Good Reason — amazing hurst-olds, in the second year they made them. balanced and blueprinted engine, special paint job, racing mirrors, and of course hood. My uncle owned a 442. I drove it a couple of times. The Olds handled a tad better. I think the 442 had a larger Olds Rocket engine, and a sportier suspension, but they were basically the same car. Cargo Capacity Ranked 1969 Buick Skylark better. "The cargo capacity is about the same, but the Buick had a lower trunk entry." 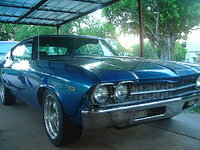 Value Ranked 1969 Buick Skylark better. "It was pretty much an equivalent car, but at a better price." Would Buy Ranked 1969 Buick Skylark better. "Well, now it would be a higher collector value; there were far fewer made, and of course, sentimental value but at the time the 442 commanded a premium price." Looking for a Used 442 in your area? 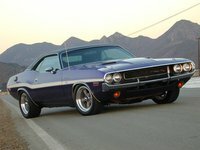 CarGurus has 50 nationwide 442 listings and the tools to find you a great deal.